Nothing is as unappealing as a dull lawn. Patchy and unattractive with grass that’s anything but green, a lawn is not a lawn without great grass. It does not matter what the rest of the landscaping looks like if your grass is not thick, full and lush. At Great Choice Lawn Care & Landscaping, we know that you want your lawn to appear flawless. It is, after all, the first thing people notice about your home. 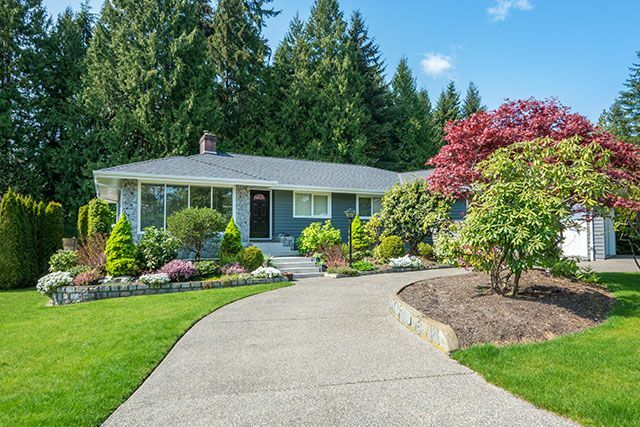 Whether you simply want a gorgeous lawn on which the kids can play and the neighbors can stare at with envy or you are looking to sell your home and need to up your curb appeal, we have the solution you’re looking for. Our hydroseeding process is one of the best in the area. We know that installing a new lawn is essential to many homeowners when it comes to making a house feel like a home. Since hydroseeding is the fastest way to provide our clients with a lush, green lawn that simply begs you to remove your shoes and go for a walk, we know our customers are happy with the process. Essentially, the process involves seeding, fertilizer and mulch; they are mixed together and turned into a liquid slurry. That slurry then adheres to the soil on your lawn and becomes beautiful grass in no time at all. Our product is superior to many other companies, however, because we use a Wood mulch rather than paper. Stronger and more efficient, our process is far more capable of providing you the lawn you’ve always imagined. Hydroseeding is an amazingly fast process. It takes around 3 days to a week for the seeding to germinate, and as little as a month for your lawn to look flawless. So how does the process work? It’s simple, and we want to walk you through what you can expect when you take the time to consider this quick-fix lawn care solution in your own home. Why Choose Hydroseeding for Your Lawn? These are the main reasons to hydroseed. The speed in establishing a new lawn is only outdone by laying down fresh sod but is much more cost effective alternative. It takes as little as seven days for seed to come through and a new lawn to begin growing. It takes only a month for your lawn to appear flawless and full. No other type of grass grows as quickly or as efficiently as this. Sod is expensive and seed is difficult to lay down if you don’t have the correct machinery. If you have to sod your own lawn, you have to work awfully hard. If you pay someone else to do it, it costs even more than you want to pay to begin with. Hydroseed is anywhere from 70% to 80% less than sod, and that’s why so many people choose this type of grass. The health of your grass might not be something you are overly concerned with, but it is an important factor in your yearly maintenance. When you buy sod and have it put down, you might realize that the soil in which the sod was originally grown is different. This could lead to shock and unhealthy grass that might need ample TLC before it begins to heal and look good in your lawn. You did not pay for grass that looks dead and sad. Hydroseed does not go through that process, so it does not go through any unhealthy period. It’s just healthy and full, and it does not allow much room for weed or disease to become a problem in your lawn. Finally, coverage is one of the biggest reasons people choose hydroseed over any other type of new lawn intallation processes. Hydroseeding does an amazing job of filling in gaps, of creating a thick and full lawn, and of turning a boring lawn into one that is lush and full. Your lawn has to first be assessed. Not all lawns are created equal, and we have to see the condition of your soil before we can begin the process. Some lawns require that we prep the soil so that the hydroseeding affixes nicely to it. Does your house already have amazing soil and an even surface? If so, we might need only to power rake over the lawn to prep for the hydroseeding process. If your lawn is rough and unready, we might have to grade, fill your lawn and then put down a layer of topsoil first. It’s not a big deal, but it does help to make sure your lawn grows in as flawlessly as possible. Perfect lawns without large rocks that are not too compact are good to go without any additional prep work. Our highly sensitive and specialized machines perfectly mix together the seed you need to finish your lawn. We take wood mulch and add to it fertilizer, seed and water. As they are all mixed together, they create a liquid that we then spray onto the ground at your home. We use a high-pressure hose that evenly spreads seed throughout your lawn, ensuring the best possible coverage. This mixture then hardens as it dries. This is good; it protects the seed from eroding and the lawn from appearing uneven and splotchy as the grass begins to grow. No matter what happens as far as weather, those seeds are not washing away. Additionally, this hard surface also protects the seed from birds and their hunt for another meal. Unlike regular grass seed or even sod, our hydroseed grows quickly. It doesn’t take long at all, which is why so many people prefer we use this process to lay down sod. Because there is water and fertilizer mixed into this mixture and protected from the elements, grass grows quickly. Water and fertilizer cannot be washed away or dried up, and that helps the grass seed grow as quickly as possible. Our highly specialized machine spreads the seed so evenly over the ground that it does have time to move or to become uneven. Your lawn will look nice in about two weeks, good in three weeks and spectacular in four weeks. This marriage of attributes makes the hydroseeding process one of the fastest-growing trends in lawn care in the market right now. Can I Hydroseed My Existing Lawn? There is a bit of misconception when it comes to hydroseeding specific lawns. Some people are under the impression that it is only good for new lawns without grass already growing. However, it can be used on existing lawns quite easily. You can fill in gaps, cover your current lawn and help to improve the overall look of your lawn in no time at all when you take the time to cover your lawn with hydroseed. 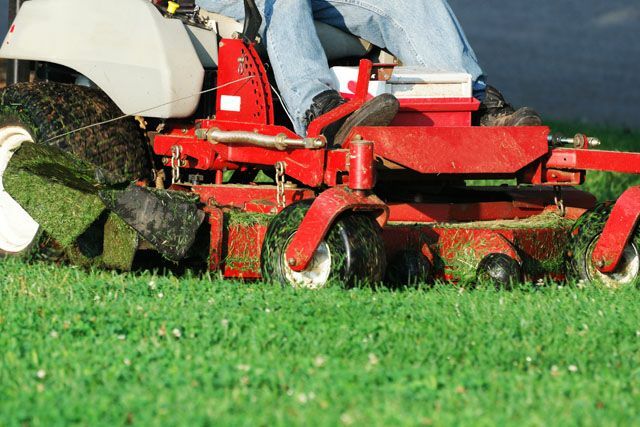 It’s as easy as cutting your grass as short as possible and going right over it with the hydroseed process. Weak and empty spots are filled right in, and your lawn will look 100% better in no time at all. The best part about using hydroseed on an existing lawn is that you can do it all winter long with winter rye to keep your lawn green and gorgeous all the time. It’s a simple process that works well with any lawn, and it’s one that does not damage existing grass. Instead, it enhances it and makes it that much nicer as a whole. Contact Great Choice Lawn Care & Landscaping now to discuss an estimate to determine the process for your lawn. Our pride is in our customer service and our work, and we value our experienced landscaping crew on providing 100% customer satisfaction every time.